Have you ever said to someone, “I’m a little slow today — I didn’t get enough sleep”? We all seem to innately know that being deprived of sleep results in changes in how we function mentally. Most of us describe this as being “slow” likely due to the perceptible delay in how quickly we are able to perform different mental tasks such as reasoning, reaction times, etc. What is the science behind this phenomenon? In late 2017, an international group of researchers from Israel, France, and the U.S. (Yuval Nir et al.) published a research paper in the internationally renown scientific journal Nature Medicine. They studied a group of 12 patients who were quite unique in that they were undergoing potential brain surgery to treat severe seizures that were not responding to normal medical treatment. In such patients, doctors will place microfiber electrodes in different parts of the brain to try to identify where the seizures are originating from, and determine if this is an area that can be surgically removed without causing significant damage. 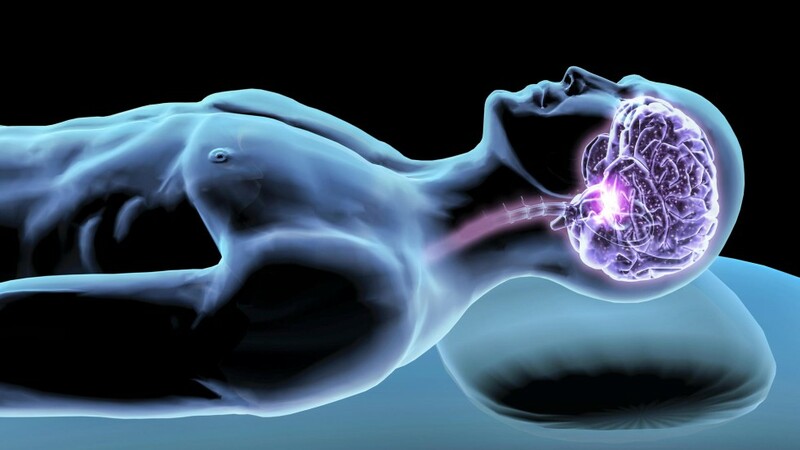 In order to make seizures more likely, patients are typically sleep-deprived as that also predisposes to seizure activity. These patients agreed to undergo additional testing in both well-rested and in sleep deprived states. The additional testing consisted of asking patients to look at a series of pictures and identify which ones contained human faces. This test is similar to the security check we get on some websites where they may ask you to identify pictures containing characteristics, like roads, faces, etc. The scientists assessed two major groups of measures. One was how fast the individuals were able to identify the pictures with faces on them. The other was measuring electrical conduction from different parts of the brain using the microfibers that were in these patients’ brains. The findings were not surprising, and yet quite remarkable, at the same time. It was not surprising to find that in a number of cases, people who were sleep-deprived were much slower and much more variable in the time they took to identify the correct pictures. What was really remarkable was that the brain conduction times were substantially delayed between different regions of the brain in patients who were sleep deprived. For example, conduction from the visual cortex (the part of the brain that processes visual information from a picture) around the brain to the frontal cortex (the part of the brain that helps control reasoning and judgment) was up to 4x slower after sleep deprivation. This demonstrates for the first time that there is an actual and measurable slowing of communication in the sleep-deprived brain. The implications of this study are broad and quite clear. When we are sleep- deprived we are both figuratively and literally “slower” in our mental function. We should be more careful doing higher level thinking activities and even doing activities that require reactions to visual stimuli. For example, if you are sleep-deprived, reacting to a driver cutting in front of you on the highway may be 4 times slower than your normal reaction time even when you are awake, potentially resulting in an accident. Understanding and trying to reduce sleep deprivation is critical to normal brain functioning. The reality is that your brain works faster with adequate, restful sleep.